Holds 6 balls. Blank bag $25. Made in color / and black mesh. 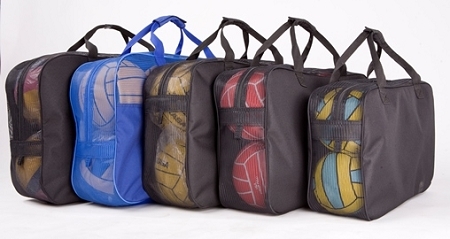 Custom Fit for your size ball, choice of Mens, Womens, Juniors, and Splashball sized bags.